On May 20, we celebrated 106 years of UT accounting education at the 2017 MPA Commencement Ceremony. As always, our graduates richly deserve a great send off. For the past seven years, one or more UT students has won the Elijah Watt Sells award for passing all four parts of the CPA exam with better than a 95% score. This year, over 90% of May and August MPA graduates have already received offers or accepted employment. While 70% of those jobs are in Texas, 30% are headed for jobs all across the United States including 23 in California and 16 in New York City. Congratulations! One of the highlights of the celebration was an insightful and inspiring commencement address delivered by Niloufar Molavi – a UT BBA and MPA graduate who currently is a Houston-based PricewaterhouseCoopers partner leading over 6,000 professionals in PwC’s Global Energy Practice. Niloufar has stayed closely connected to UT since her graduation and serves on both the McCombs School Advisory Board and the Department of Accounting Advisory Council. Her address focused on lessons “that you won’t necessarily find in textbooks but … will serve you will in the real world.” She stressed the importance of relationships with sponsors and mentors in the early stages of a professional career, citing the mentorship of Liz Yant – recently retired PwC partner and UT grad. Niloufar also discussed the importance of “emotional intelligence” and agility to embrace change. Her lessons were based on personal experiences following her family’s immigration from Tehran following the 1979 Iranian Revolution. She concluded by discussing the benefits of staying connected to UT and fellow MPA graduates. On behalf of accounting students and faculty, I wish to thank Niloufar and all our alumni for the support that has enabled us to build accounting excellence at UT. Following Niloufar’s address, I presented the 2017 Texas Star Award to UT BBA graduate C. Aubrey Smith, Jr. This award is given in recognition of continuing support of our programs over a sustained period of years. Aubrey’s family has been a part of UT accounting programs for almost 100 years. Their family legacy began in 1924 when Aubrey’s father joined the accounting faculty at UT and began the process of establishing the MPA degree and the department’s Advisory Council. Under Aubrey’s leadership, the Smith Family Foundation continues to support the MPA Program that his father was so instrumental in establishing. Finally, I’d like to draw your attention to two news items inside this issue: the scholarship endowed in honor of our colleague Ken Brown and the retirement of Paul Newman. Ken joined the faculty in 2015 after a 38-year career with EY. He passed away last summer, and his former EY partners provided the initial endowment for the Ken Brown Memorial Scholarship for a graduate student in the Texas MPA Program. Ken’s tax expertise strengthened our curriculum, and the scholarship ensures that his legacy will continue to benefit our program. Professor Paul Newman is retiring this summer after a 40-year career in the department. 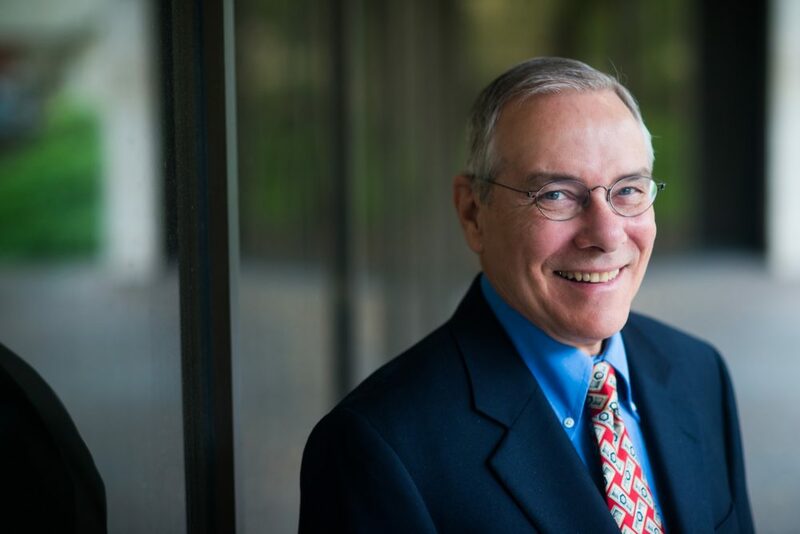 Paul has held several important leadership positions during his tenure: Accounting Department Graduate Advisor, Accounting Department Chair, McCombs Associate Dean for Research, and Senior Associate Dean for Faculty. Paul’s leadership in research, faculty recruiting, and faculty development over his career was instrumental in moving our faculty and our programs to national prominence. We greatly appreciate Ken’s and Paul’s contributions.